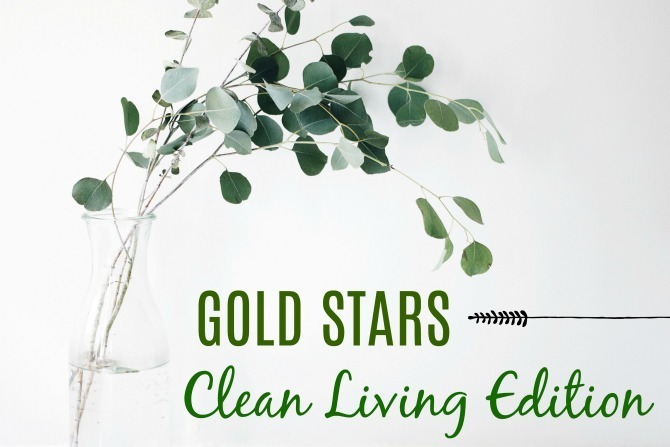 Clean Living has been having quite a moment—and by moment, I mean a good decade or so, with no end to the trend in sight. I’ll admit that I’ve been slow to get on board. It’s not that I don’t think a clean lifestyle is a worthy aspiration; eating less processed food, reducing excessive waste, and minimizing chemical exposure from our household and hygiene products (all aspects of living clean) are great ways to reduce our carbon footprint and improve personal health. Who wouldn’t aspire to those things? However, I tend to balk at anything that becomes trendy for its own sake, especially when those trends are touted as morally superior and adopted to the exclusion of everything else. I’m also more than a little bit skeptical: is that organic brownie really a healthy snack AND great for the environment, or is that Organic label just a way of letting us feel better about a less-than-optimal choice? So no, I am not a poster child for all things NATURAL or CLEAN. But I have become more crunchy granola over the years. While our family is far from perfect in this area, we make “healthier” choices when possible . . . and we don’t sweat it when natural options are not economically or practically feasible. Today I thought I’d share three simple changes we’ve made recently that are helping us to live a cleaner lifestyle. Akamai’s mission statement is pretty straightforward: “We believe clean and healthy skin, hair and teeth can be achieved with far fewer products, chemicals and complexity. 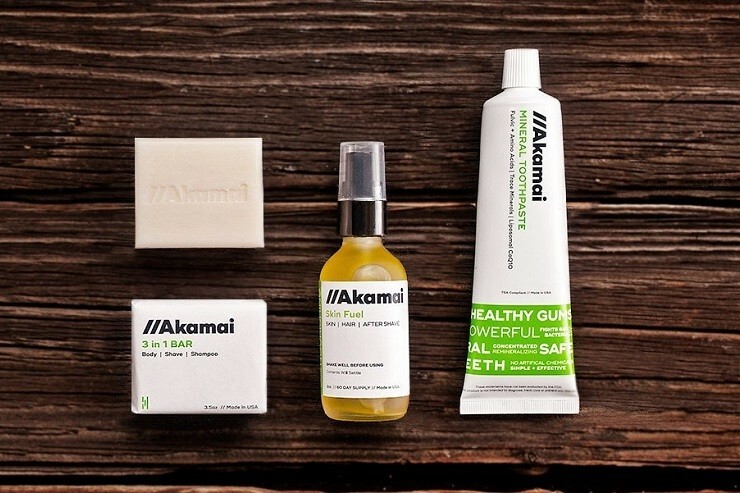 We’ve taken a radically simplified, back to basics, truly natural approach.” Akamai sells just three products, made with no synthetic chemicals and very few ingredients (all of which are listed and explained on their site). My introduction to Akamai came through Tsh Oxenreider, one of my favorite resources for all things clean and simple. A few months ago, Tsh shared the products on her Instagram during a promotion weekend when Akamai was sending out their Essentials Kits for just the cost of shipping. I was skeptical of how effective the products would be, but couldn’t pass up the deal, so I sent Akamai my $5 shipping fee and, a week later, received a box containing a bar of 3 in 1 soap, a tube of mineral toothpaste, and a bottle of multipurpose body oil. We didn’t love the toothpaste. But the other two products are amazing! Luke and I have both been using the soap in lieu of body wash and I’ve discovered it works even better than shave cream (fewer cuts, no razor burn!). I’ve never been a bar soap kind of girl, but the neutral scent and fresh feel of this soap—not to mention less waste and less physical space being occupied in our shower caddy—has made me a convert. I’ve been using the skin fuel on my arms and legs. While the olive oil scent took some getting used to, my skin feels SO well hydrated and nourished after use that I quickly got over the smell and haven’t felt the need to go back to my usual lotion. I’ve noticed that these products, though not at all greasy, leave my skin feeling moisturized long after use, whereas more traditional products feel good in the moment but tend to dry out my skin over time. My friend Salisa sells Norwex and invited me to attended my first Norwex party earlier this year. Norex sells a range of products, from personal care items to kitchen utensils, but the company’s claim to fame is their microfiber cloth and associated cleaning supplies. I was incredibly impressed by the company model and the products, which are effective and environmentally friendly, and after seeing Salisa demonstrate the various products (and having seen her use the products exclusively in her own home—she truly practices what she preaches!) I ordered a couple of cloths, a dust mitt, and a mop. The cloths work really well, and I have found the window cloth to be an excellent replacement for the cleaner I’d previously used on my stainless appliances. It amazes me that I am able to get a streak-free fridge without any chemicals, just some water on a cloth. The cloths haven’t led me to completely give up using paper towels, which are just too convenient for me to relinquish, but I am using fewer paper towels and sprays, and that’s a step in the right direction. The dust mitt is also awesome and much more effective (and more fun) than the Swiffer duster I’d been using. While the other products are great, it’s the mop that has truly won me over to the Norwex way of thinking. It works similar to a Swiffer sweeper in that it has a mop handle and interchangeable wet/dry cloths, but it is SO much better than my old Swiffer. The pads are larger and more effective at picking up dust, which translates to quicker cleaning time, and the pads tilt upwards, allowing me to use the mop to easily clean my baseboards too. Unlike the Swiffer pads, these actually stay in place (no more stopping every few seconds to reposition the pads), and because they are washable I don’t have to buy replacement pads; in other words, I’m saving money AND reducing waste, and I’m able to clean my floors without any added soap or chemicals. It’s amazing! This last Gold Star is the most surprising on my list, which might also make it my favorite. Young House Love recently posted about their favorite household cleaners and personal care items (some great recommendations, go check it out!) and in the post Sherry disclosed her anti-aging routine of coconut oil and apple cider vinegar. I thought it sounded a bit strange, but I had both items on hand already and decided to give it a shot. Each night I lather my face with coconut oil; it feels a bit greasy immediately after application, but by morning the oil has completely soaked in, leaving my face feeling hydrated but not oily. And in the morning I splash some Bragg’s apple cider vinegar onto a cotton ball and rub it over my whole face as a toner. I’m not fan of the smell (I kind of feel like a walking salad) but it quickly dissipates, and my face is left feeling awake and refreshed. Sherry claims that her coconut oil/vinegar routine is to thank for a reduction in the appearance of wrinkles. While I haven’t been doing it long enough to notice any anti-aging benefits, I do know that my face has never felt so great, and I’ve gotten a number of compliments on my complexion lately (including from the Sephora beautician who did my makeup recently and commented several times on my “great skin”). I feel compelled to mention that this new regimen has not replaced my usual skin care routine. I still wash my face each night (this is my favorite face wash) and follow up with a Clearasil face pad before applying the coconut oil. 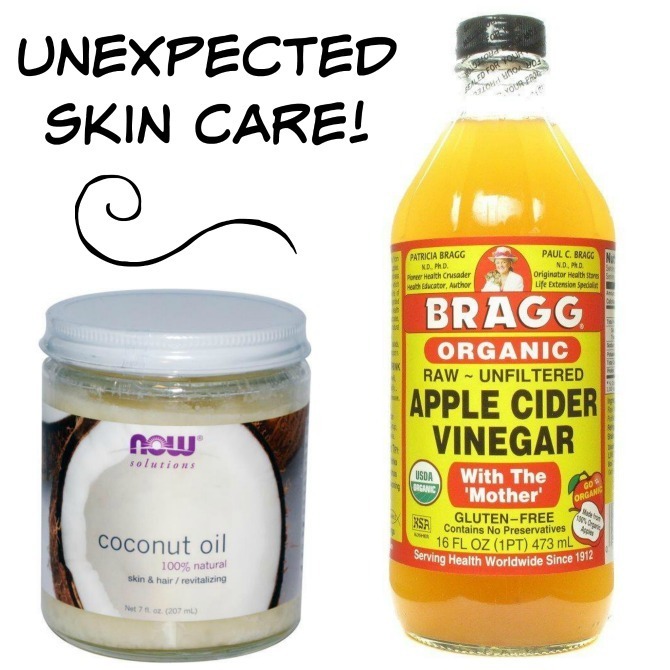 I don’t wash my face in the mornings, but I do apply an anti-aging cream/sunscreen after my rub-down with the apple cider vinegar and before putting on my makeup. I’d eventually like to eliminate one or more of these extra products, but I don’t like to put my face through too many changes at once; baby steps! 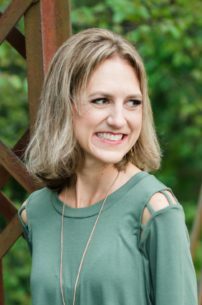 I’d love to hear your thoughts on clean living. Are you all-clean-all-the-time, or do you refuse to buy into the trends? Have you made any recent changes to your routines in an effort to move towards a cleaner lifestyle? Let me know about them!